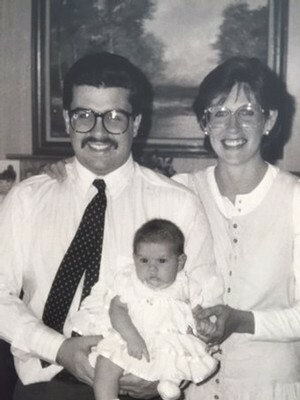 This is a post from last year (add a year to the marriage ticker). 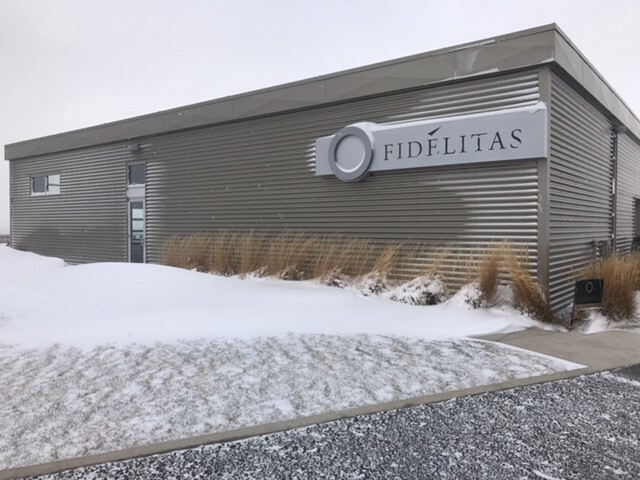 However, as we come in to the season of love and fidelity, it seems like a wonderful time to share the story of Fidelitas once again. May your Februarys be full of someone who is faithful, loyal, and true, tasty wines, and a few paper hearts. 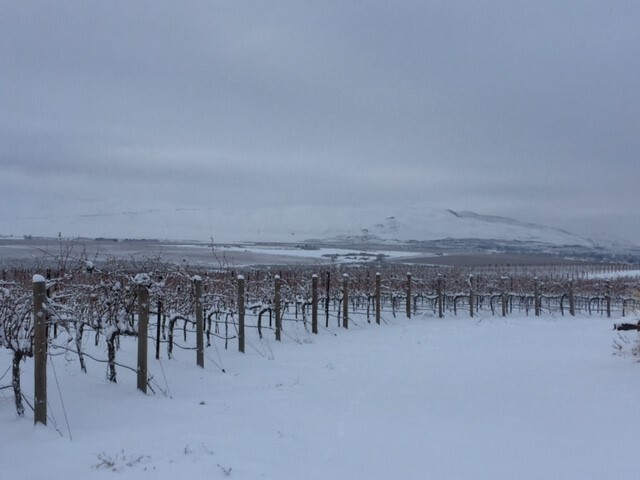 After a long spout of winter weather bringing us down there could be no better way to kick off the year (and shake off the winter blues) than with the arrival of our first release, the 2014 Red Mountain Malbec. I’ll put in my vote in for this wine being one of the most versatile wines in our line up considering I’ve literally never met someone who didn’t like it! Whether it’s enjoyed at parties, paired alongside exquisite meals, or if you enjoy it by the glassful after a long day you’re sure to find a consistent pleasure. While I’m guilty of skipping over tasting notes half the time and going straight in to taste the wine for myself, I couldn’t help but find the notes for our 2014 vintage to paint the perfect description for this wine. 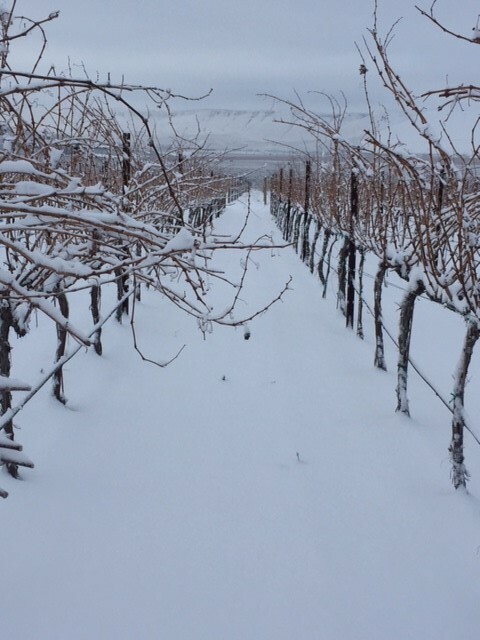 “Red Mountain Malbec, the Fidelitas fan favorite in the phantom bottle, is sourced from a few of our favorite Malbec vineyards on Red Mountain.” Isn’t that the truth? This 100% Malbec is a blend from Scooteney Flats and Kiona Vineyards both of which are our neighbors on Red Mountain. Scooteney is known for its course soil and concentrated grapes, and Kiona for some of the more mature vines on the mountain. “True to the varietal, this wine gives us loads of fruit tones: Aromas of blueberry, marionberry, cocoa, and white pepper swirl in the glass, met by blackberry, marjoram, roses, and vanilla.” Tell me this doesn’t make your mouth water for a big glass of the stuff? Better yet, pair it alongside this Balsamic Roasted Berry Bruschetta (made with burrata which I’ve been catching on more and more restaurant menus recently, and I am definitely not mad about it). “Even more fruit on the palate provides a juicy and soft mouthfeel for easy enjoyment.” I’d say this is the perfect line to describe Fidelitas Malbec. Juicy fruit, balanced tannins, and a bold spice hit your pallet in perfect harmony which makes it such a crowd pleaser. Click here to read the tasting notes in full or to order this wine for pick up or FREE SHIPPING through January 31. I love January. It’s always a fresh new start, a time of change, a time of reboot. January is also a great time to get your wine cellar organized! From the make/model you choose, to the method in which you keep track of your wines, there are many aspects to think of when considering a wine cellar. 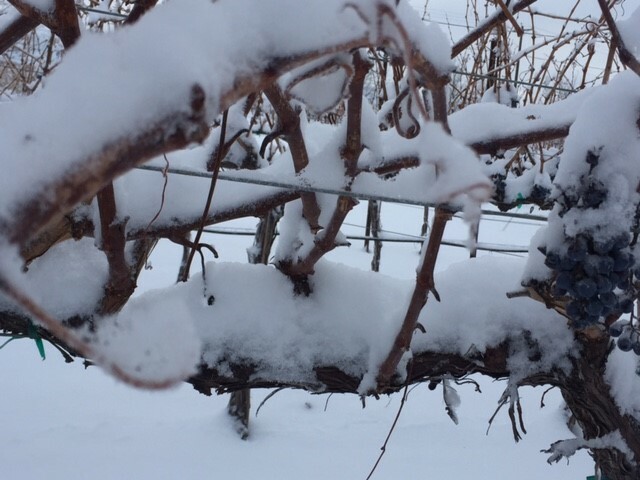 First and foremost, your wines should maintain a steady temperature. 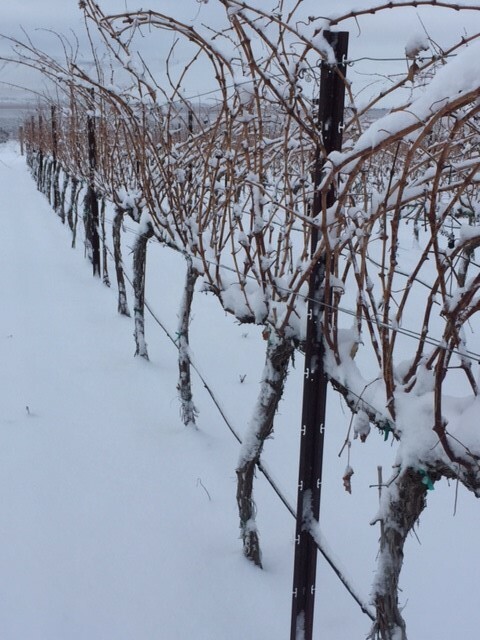 55-59° F is the optimal temperature range along with 55-75% RH for storing wine. Fun temperature facts: wine will age 4 times faster if stored in a closet or pantry! We know that 55°F is optimal. 46°F is entering the danger zone on the cold side and wine freezes at 32°F. 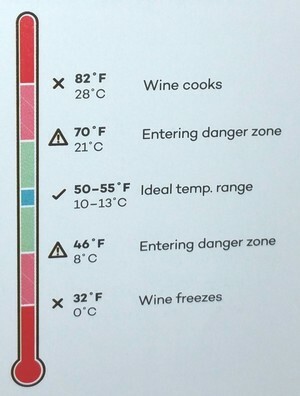 Wine enters the danger zone on the warm side at 70°F and is cooked at 82°F. There are many types of wine cellars in a wide range of prices that will do a great job of keeping your wine at an optimal temperature. 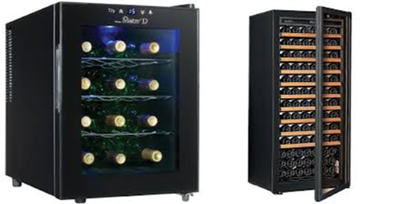 A simple search on Google using “Wine Fridge” will bring up a vast array of choices from popular stores such as Best Buy, Amazon, and Home Depot. Choose one that fits your budget and your drinking habits. Ok, you have the wine cellar, now how are you going to keep track of your wines? If you’re Excel savvy, a spreadsheet listing vintage, varietal, price and tasting notes will do you just fine. If you’re tech savvy, there are several apps out there that will do a great job of keeping your wines in line. Vivino and Cellar Tracker are available both on iOS and Android. Vivino (iOS Android) allows you to scan your wine, save them to your cellar and find food pairings and ratings. They are also fantastic when it comes to socialness. Cellar Tracker (iOS Android)also allows you to scan your wines and add them to your cellar. I’ve found Cellar Tracker to be a tad more user-friendly when inventorying your wines. You have your cellar and your tracking app, now you need to fill your cellar! Fidélitas can certainly help you with that. Our Product Spotlight this month is our Restock the Cellar promo. We have fantastic pricing on 6-packs of 2015 Klipsun Semillon and 2013 Optu Red Mountain. The case price on our 2013 4040 Red Wine is a steal – definitely stock up on this one! These prices are so amazing that we are only offering them until January 15th, so hurry if you want to take advantage! 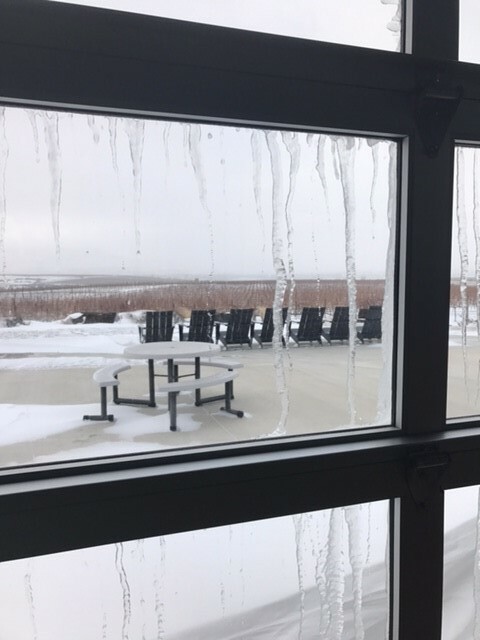 As many of us have experienced the warm summer heat that comes from summer in Eastern Washington it’s hard to picture what Red Mountain can look like in the winter. Well folks, if you can believe it we have snow on the mountain and we have photos to prove it! 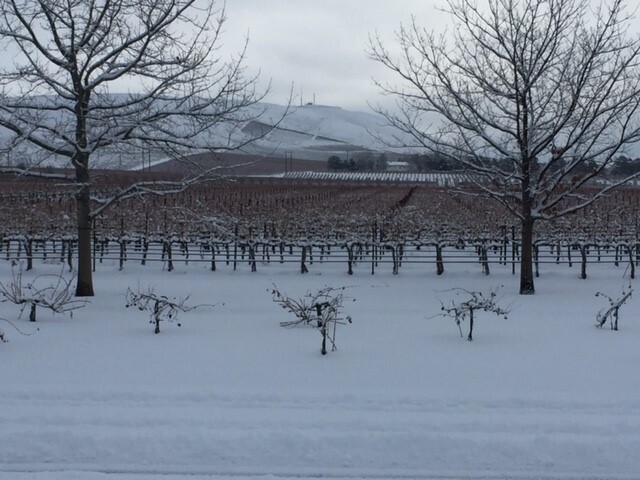 Personally, I have been enjoying the blanket of snow that is surrounding the region we call home however, with the start of January it’s hard not to dream about what’s to come this year and that means warmer weather for some of us and amazing newly released wines of course!